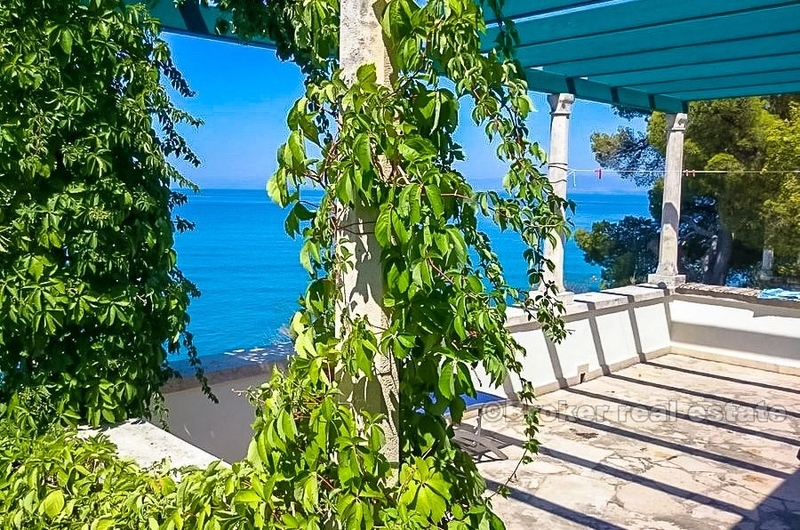 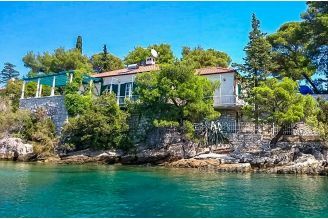 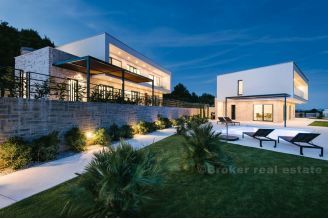 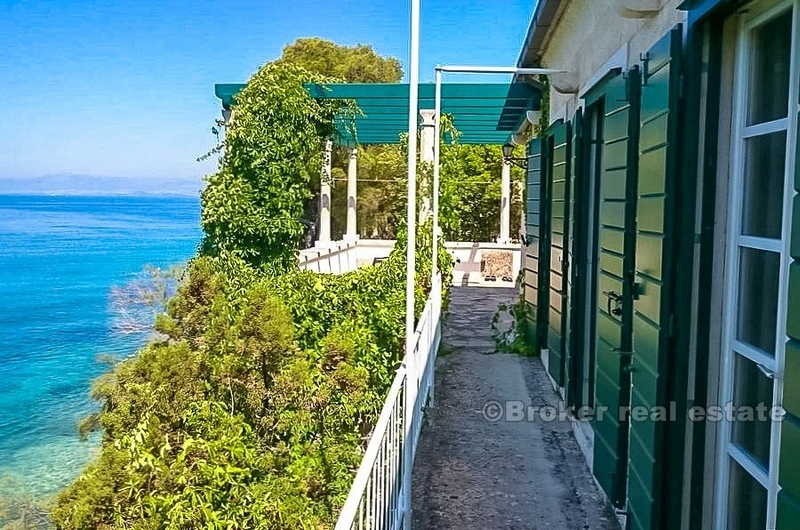 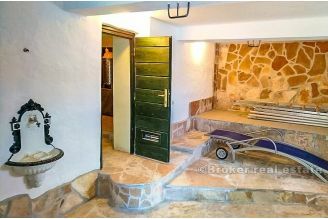 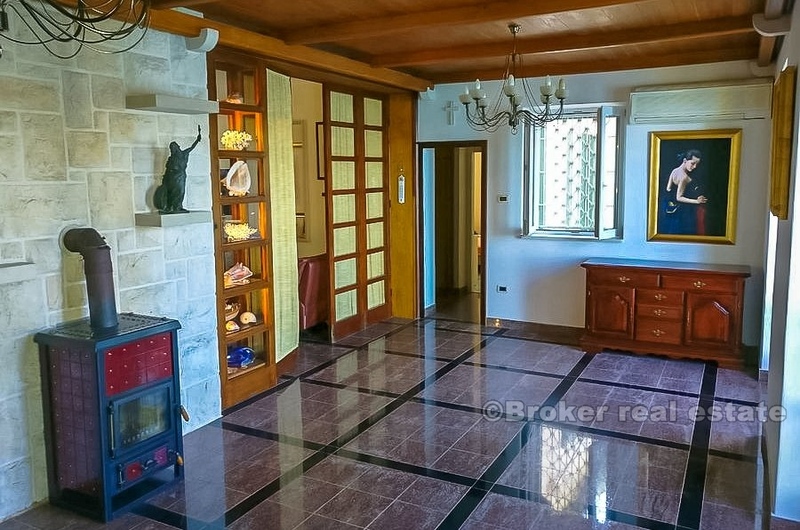 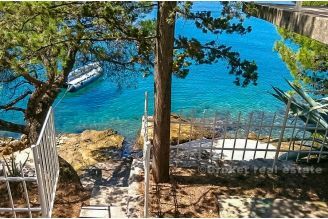 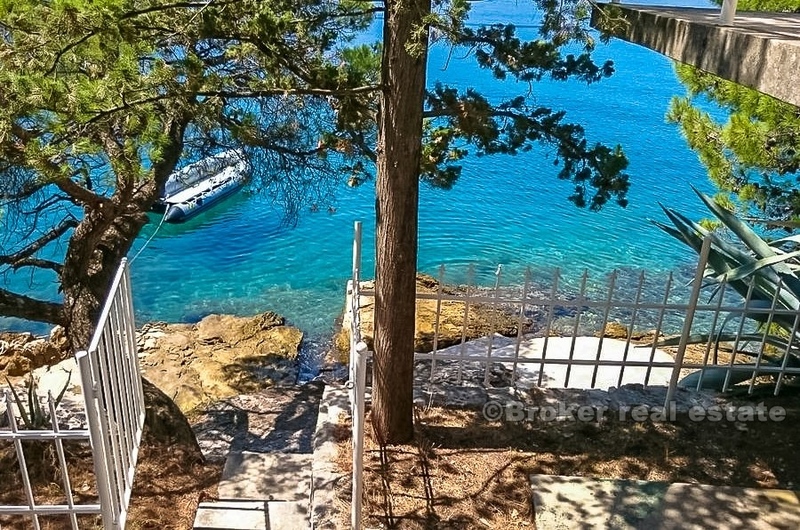 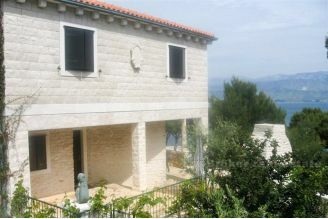 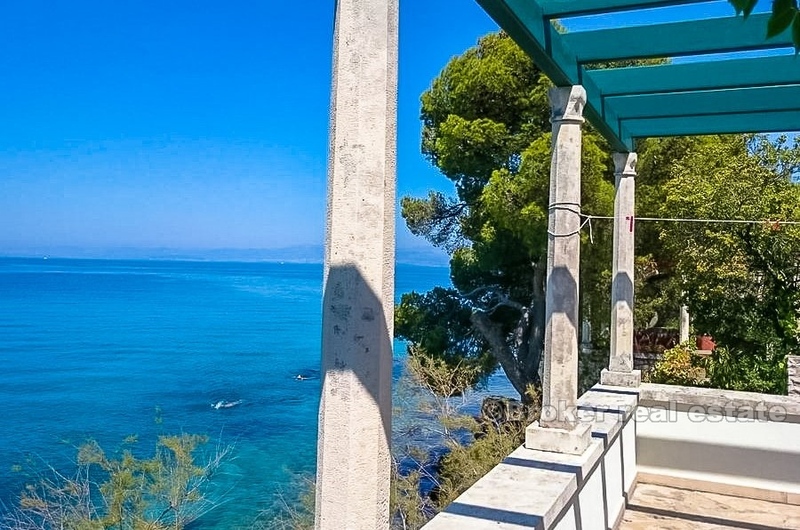 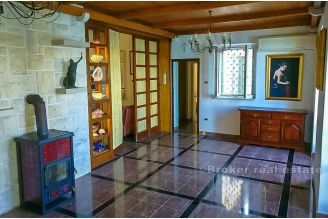 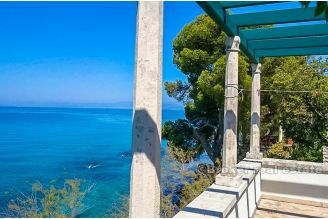 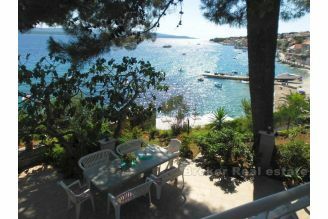 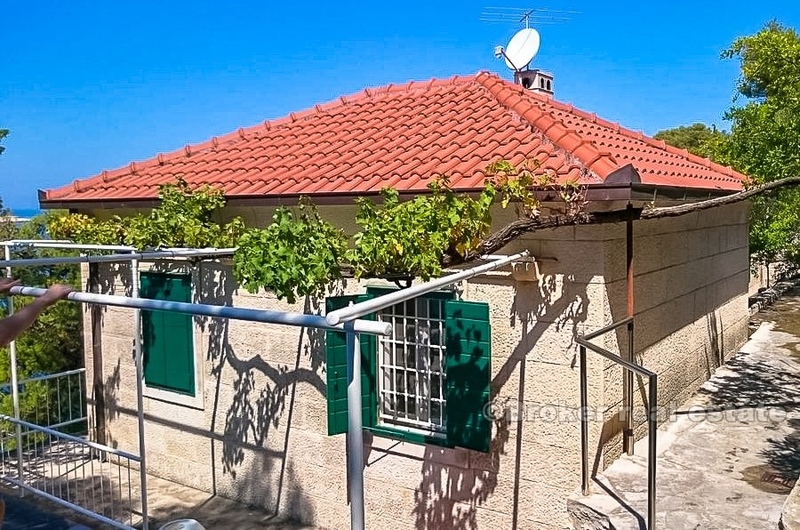 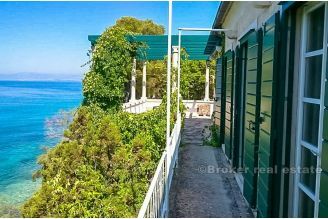 Beautiful stone villa for sale, located on the north side of the island of Brac in the first row to the sea. 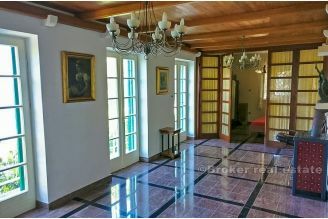 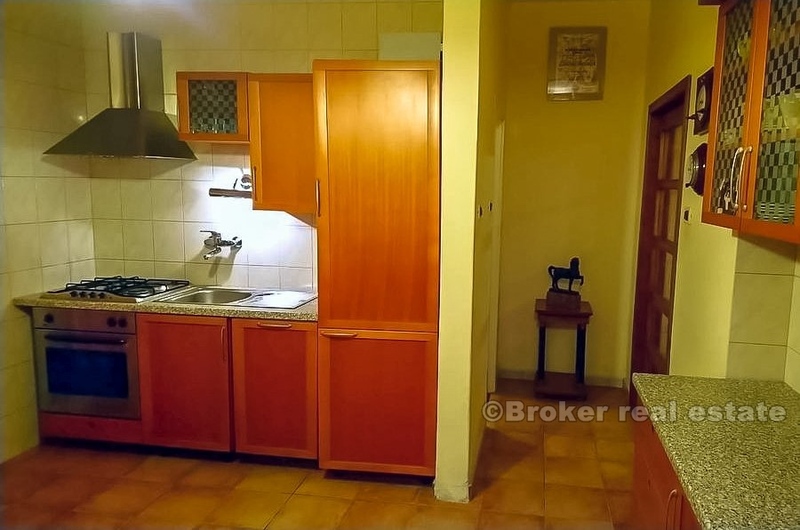 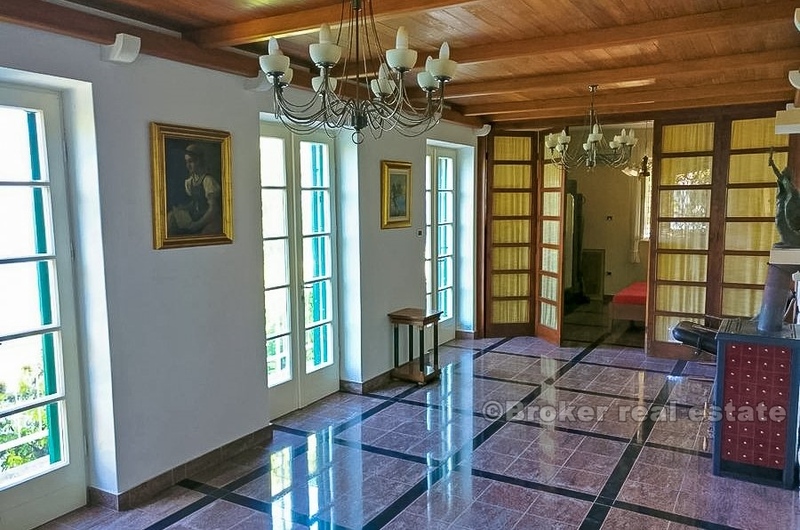 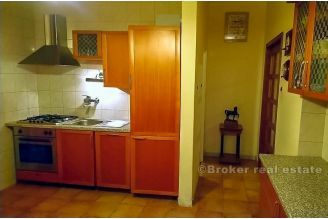 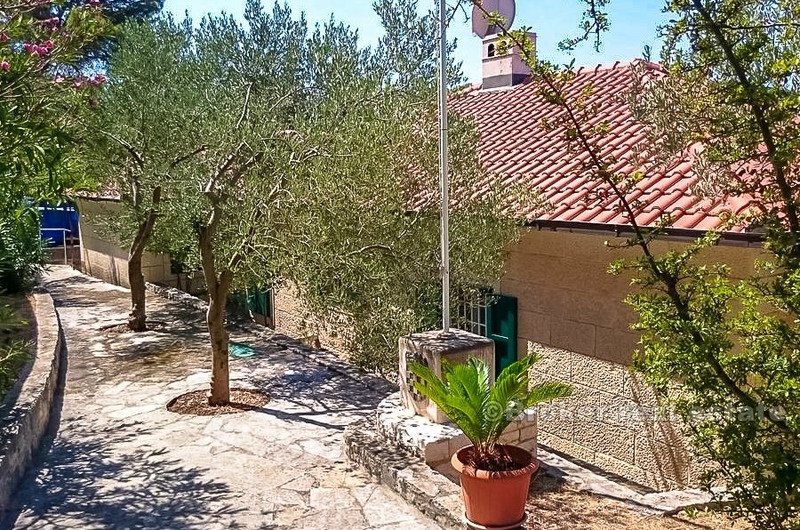 The property extends to 115 m2 of living space, along with 45 m2 of tavern. 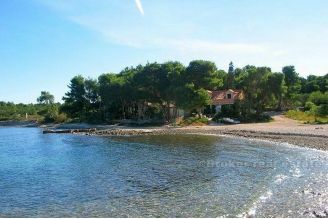 It is located in a quiet location, surrounded by pine trees and cypresses, with direct access to a smaller, intimate beach. 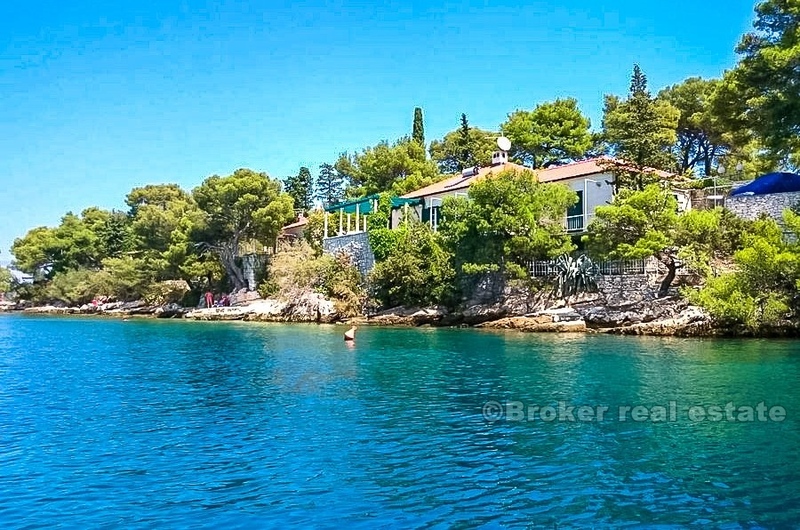 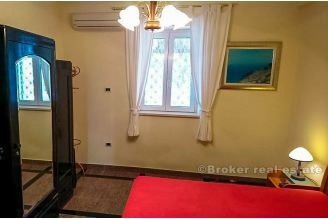 Considering the depth of the sea of ​​2.5 m, the property can also be accessed by a larger boat, which can be parked right in front of the property. 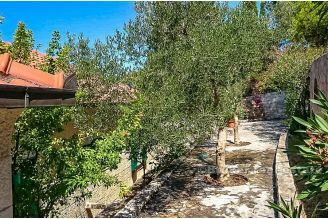 The property and yard are fully paved with stone. Originally built in 1955., it was upgraded in 1975. and completely renovated in 2003., when all installations, windows, doors and roofs have been changed. The property extends over 400 m2, is fully protected by a high stone wall and sliding, electric courtyard door, providing complete privacy to users of the property and hidden from unwanted views of accidental passers-by. 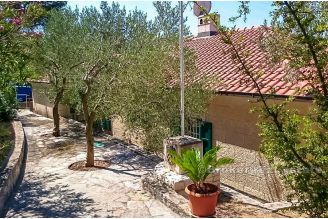 At the entrance is a parking for two cars. 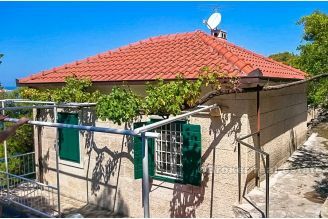 The property consists of four bedrooms, a comfortable living room and two bathrooms. 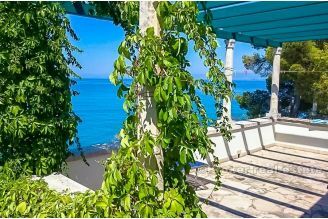 A beautiful terrace overlooking the sea surrounds the property, offering the perfect space to spend time outdoors for most of the year. 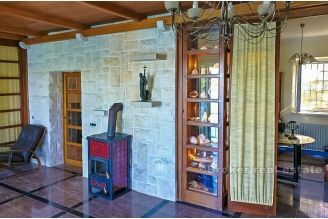 Partially through the property, the central heating on electricity is set, while the rest of the property is heated by wooden stove. 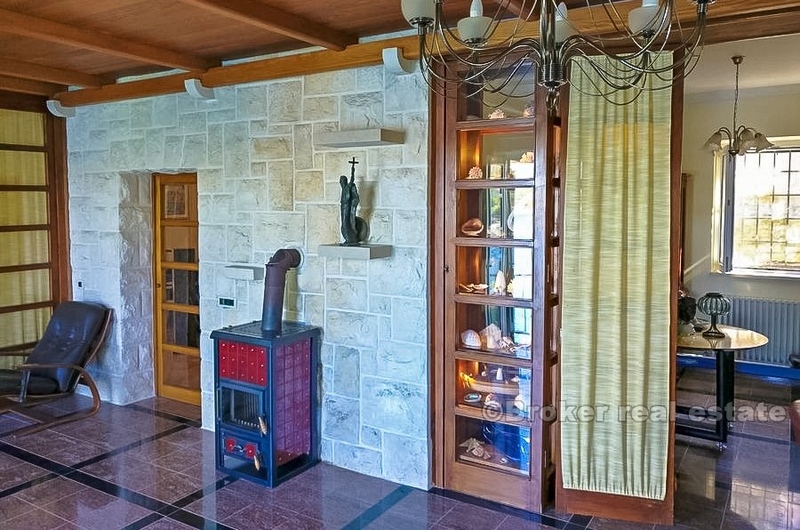 Air conditioning is installed in every room, as well as in the tavern. The outer space has its own oasis for rest, so the property is surrounded by a pleasant, traditional Dalmatian courtyard covered with stone, enriched with olive trees and other Mediterranean herbs. 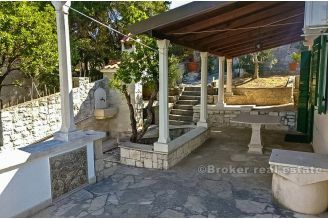 There is also a massive, stone dining table on the covered part of the terrace, an outdoor fireplace and a stone sink. 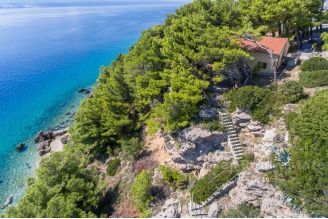 A charming property with a Mediterranean spirit, ideal for spending idyllic summer moments overlooking the crystal clear sea.